"I heard a strange babble of inhuman voices." "On, undergraduates talking to each other I expect. I'm trying to have it banned." 'The Horns of Nimon' - the final story of Season 17 - marked the end of an era for Doctor Who which is unfortunate in many ways, not least because the story is not at all well-liked amongst Doctor Who fandom. It's also unfortunate as 'Nimon' was never intended to be the final story of the season. 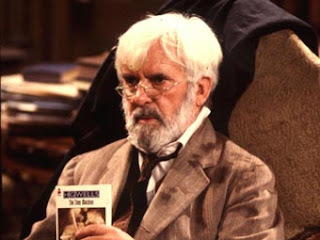 That honour was to have gone to Douglas Adams' 'Shada' - a six episode story partly set in Cambridge and which would have introduced a new Time Lord character to the series: Professor Chronotis, a retired Time Lord living on Earth in the guise of a university professor. 'Shada' was partially filmed but a BBC strike meant that it was never finished and thus never broadcast. And so it was that 'Horns of Nimon' marked the end of the season, a mere two weeks into 1980, and viewers were left waiting until September for more new episodes. In between January and September there were changes aplenty behind the scenes. Script editor Douglas Adams and producer Graham Williams both left and were replaced by Christopher H Bidmead and John Nathan-Turner respectively. Nathan-Turner would become synonymous with 80s Doctor Who, overseeing the series for the next decade. Nathan-Turner (or JNT as he was popularly known) wanted to freshen up the series so immediately set about making a number of changes, not all of which were popular with viewers. The diamond logo was replaced with the neon tube effort that you can see at the top of this entry. The Doctor got a striking new look which was all in burgundy. And JNT took the decision to tone down the humour that had been so prevalent in the past two or three years of the series. 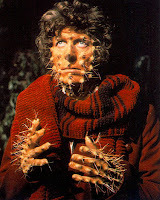 The Doctor got a bit more serious and JNT, along with Christopher Bidmead, was keen to see more 'real science' appear in the series. One other big change was in the music. Out went the original version of the theme that had been used in one form or another since 1963 and in came a very different version, created by Peter Howell of the BBC Radiophonic Workshop. Personally this is one of my favourite versions of the theme but I can see how fans at the time might have reacted differently as it is so very different to what had come before. The incidental music also went through a transformation. Up until 1980 Dudley Simpson had produced the majority of the incidental music with a distinctive mix of synthesisers and traditional instruments. Now the music was to be done entirely on synthesiser by the members of the Radiophonic Workshop. Dudley Simpson was out of a job after over 15 years of loyal service. With all of the above changes taking place at the same time, Doctor Who almost seemed like a different show when it returned in September of 1980. 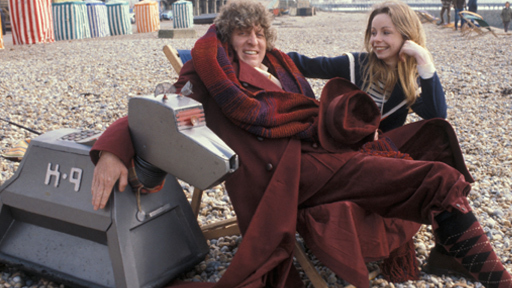 Fortunately the Doctor, Romana and K9 were present and correct. K9 had even got his original voice back, supplied once again by John Leeson. The first story of the new season was the visually impressive 'The Leisure Hive'. The story sees the TARDIS crew visit the war-torn planet Argolis which has tried to re-build itself with the creation of a holiday complex called the Leisure Hive. But members of a rival race, the Foamasi have infiltrated the Hive and want to bring it down so that they can take control of the planet. It's up to the Doctor to stop them. The next story, 'Meglos' at times feels like a throwback to the more comedic stories of the last two seasons. 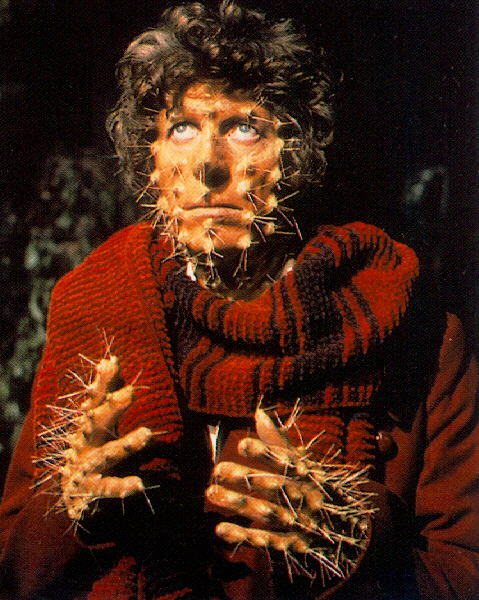 The story concerns Meglos, a creature that looks like a cactus, disguising himself as the Doctor in order to try and steal a powerful object called the Dodecahedron. To ensure that the Doctor himself doesn't interfere, Meglos traps the TARDIS in a time loop, which leaves the TARDIS crew literally repeating themselves for the best part of two episodes. 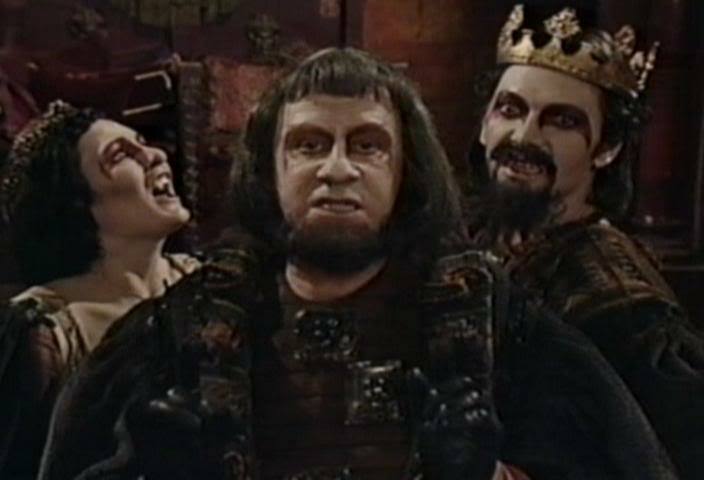 When the Doctor does eventually arrive, confusion ensues and the Doctor is able to save the Dodecahedron and destroy Meglos. 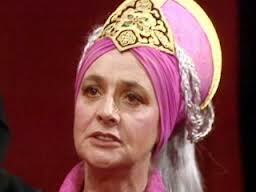 One guest actor to look out for in this story is Jacqueline Hill. Hill, you may recall, first appeared at the very beginning of the series back in 1963, playing First Doctor companion Barbara Wright. The next two stories in the series, and the final two to be shown this year, are 'Full Circle' and 'State of Decay'. These two stories form part of a trilogy of stories which see the TARDIS pulled out of our universe and into another, called E-Space. In 'Full Circle', after being dragged into E-Space, the TARDIS lands on the planet of Alzarius where they discover the crew of a crashed spaceship who are under threat from the native inhabitants of Alzarius - the Marshmen. However it turns out that the crew actually died out centuries earlier and have been replaced by Marshmen who evolved into human form and then forgot about having previously been Marshmen. This story was written by a seventeen year old Doctor Who fan called Andrew Smith who sent the idea into the production office. It so impressed John Nathan Turner that he hired Smith to write the scripts. It was to be his only script for the series although he has, in recent years, returned to Doctor Who with scripts for the Big Finish audio dramas. 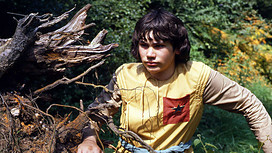 Also in this story we meet a young man called Adric, one of the members of the ship's crew. Adric (played by Matthew 'I had a letter published in DWW' Waterhouse) is a brilliant mathematician who decides to stow away on board the TARDIS, after the only surviving member of his family is killed by the Marshmen. Still searching for a way to leave E-Space, the Doctor, Romana and K9 (along with stowaway Adric) arrive on a world that has regressed to a primitive medieval state in 'State of Decay'. Written by Terrance Dicks (who was presumably on a break from writing all those books) the story was originally intended to be made a couple of years earlier but was put on hold. The story concerns vampires and the BBC hadn't wanted 'State of Decay' to clash with a production of Dracula that they were making at the time. So the story was dusted off for the 1980 season and this is more of an action/adventure story than the previous few stories. 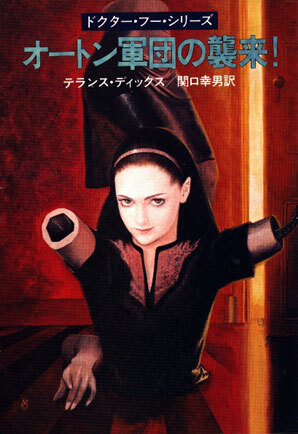 It's also of course something of an horror story - given the heavy use of vampires and vampire mythology in this story. One interesting thing that Dicks does here is to make the Vampires ancient enemies of the Time Lords, with the last Great Vampire being forced into hiding by Rassilon, the founder of the Time Lords. The Doctor has now discovered the Great Vampire's hiding place and ends up creating a giant stake, using a rocket ship no less, with which to kill it. After, 'State of Decay' Doctor Who took it's Christmas break, before returning in January 1981 for the final part of the E-Space trilogy. One audio release only this year: a single release of the new version of the Doctor Who theme by Peter Howell. 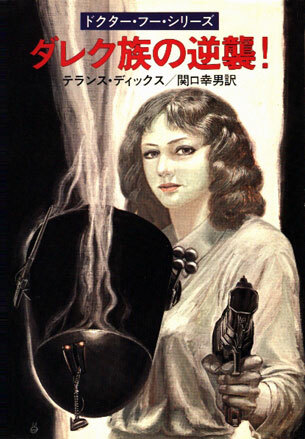 As usual, the books were dominated by the Target novelisations. Nine were published this year and eight of those nine were written by Terrance Dicks. How did he find the time? 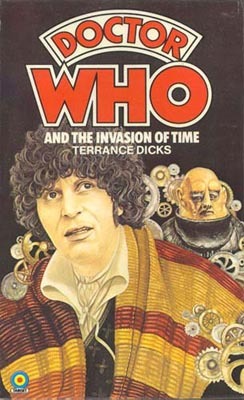 Of those nine novelisations, nearly all of them were Fourth Doctor books: 'Underworld', 'The Invasion of Time', 'The Stones of Blood', The Androids of Tara', 'The Power of Kroll' 'The Armageddon Factor', 'Nightmare of Eden' and 'The Horns of Nimon'. Third Doctor story 'The Monster of Peladon' and First Doctor tale 'The Keys of Marinus' were the only 'past Doctor novelisations this year. 'Marinus' was also the only book this year not written by Terrance Dicks. 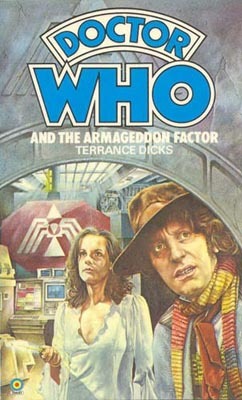 Former Fourth Doctor producer Phillip Hinchcliffe took on the writing duties for that one. 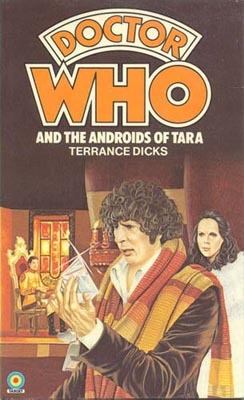 For the younger readers, there was another 'Junior Doctor Who' novelisation, 'The Brain of Morbius', again written by Terrance Dicks. In addition there was a new series of story books starring K9. 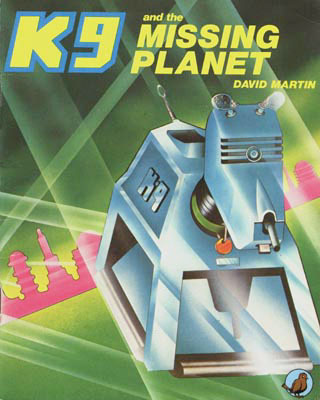 This series of four short picture books were written by David Martin, one half of the duo who created K9. The books sees K9 working solo and travelling through space in his own space ship called the K-Nell. In terms of other books we had the annual Annual and another children's book, this time a non-fiction book called 'A Day on the Life of a Television Producer' which followed new Producer John Nathan-Turner around on a 'typical' working day making Doctor Who. 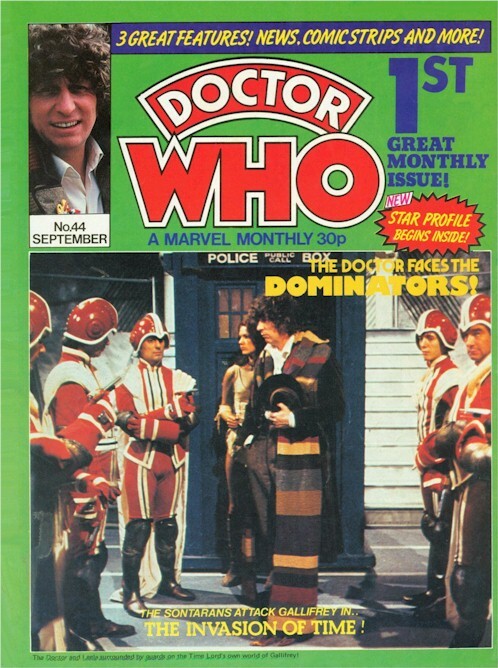 The comic strips remained the focus of Doctor Who Weekly throughout 1980 although there were still a mixture of other articles and features as well. Issues 26 and 27 (both April 1980) introduced two new regular features: the UNIT Hotline (a sort of fan club type page) and Gallifrey Guardian - a news page which still remains in the pages of the magazine to this day. 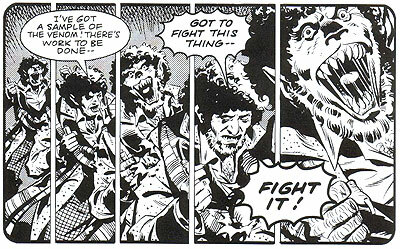 In the main comic strip itself, the Doctor gives the people of 'The City of the Damned' back their emotions and their freedom in the second half of that story. Mill, Wagner and Gibbons then took a break for a couple of weeks and Paul Neary (who would also go on to bigger and better things in the comics world) wrote and drew and 2-part story called Timeslip. This story marks the debut of K9 in the strip (although Romana is AWOL) and sees the TARDIS being caught by a creature that eats time, the result of which is that time starts running backwards and the Doctor regresses through his previous incarnations. Eventually the creature gets indigestion (!) and the TARDIS is able to escape, putting everything back to what it was. The team of Mills, Wagner and Gibbons then returned for two more stories. 'The Star Beast' is set on modern-day Earth and sees the Doctor teaming up with two school children, Sharon and Fudge, to stop a furry alien called the Meep. The Meep may look cute and innocent but it's really anything but. At the end of the story it kidnaps Sharon and takes her off in his spaceship and the Doctor has to rescue her from the Meep's clutches. With the Meep defeated, the Doctor tries to take Sharon home but ends up taking her several hundred years into the future to a group of Earth colony worlds that are under threat from 'The Dogs of Doom' otherwise known as Werelox. At first it seems like these beasts are going to be the main enemies in this story, particularly when a scratch from one of them causes the Doctor to turn into one of them. But, in a clever twist, they are simply the henchmen for the Daleks who turn up at the halfway point. Following this story, Mills and Wagner took their leave of Doctor Who and the writing for the strip was taken on by Steve Moore, who had already written a number of the back-up strips for the magazine. 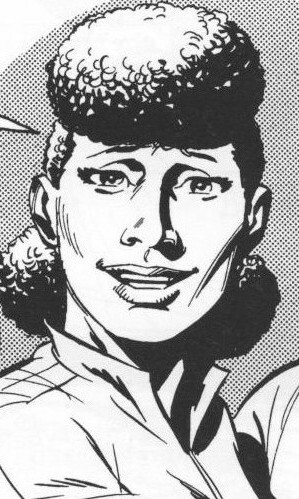 Dave Gibbons stayed on as artist and, would remain the main artist into the 5th Doctor's era. His first story was 'The Time Witch' which sees the TARDIS dragged into a strange dimension, controlled by a witch called Brimo. She's not really evil as such but the use of her powers is draining the life out of the 'real' universe (much like Omega in 'The Three Doctors') and the Doctor has to imprison her. One result of this adventure is that the TARDIS is briefly split in half and, in trying to restore it, Sharon is aged 4 years, turning her from a teenager into a young woman. 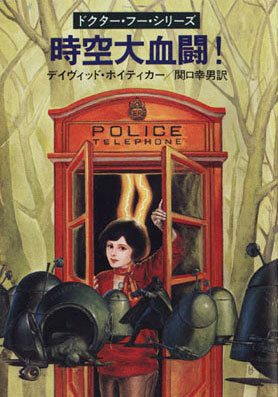 It's possible that Moore felt took restricted by having a schoolgirl as a companion and so took the first chance he could get to grow her up. The next story, 'Dragon's Claw' takes a similar tack to 'The Dogs of Doom'. Here the Doctor, Sharon and K9 investigate a 16th century Chinese monastary where the monks are trained by 'Bronze Men' from space. The 'Bronze Men' don't appear until over half-way through the story and when they do appear are revealed to be stranded Sontarans. 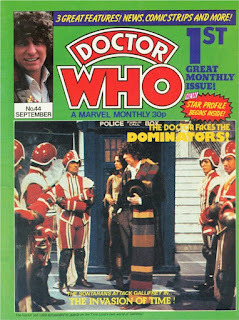 During Dragon's Claw's run, Doctor Who Weekly became Doctor Who Monthly. This meant more pages for the magazine and, consequently, more pages for the comic strip. This increase in page count meant that the stories in the strip became noticeably shorter,with all of the stories from here on being just one or two parts rather than 7 or 8 as had been the norm. Shoron's time as a companion came to an end in December 1980 (issue 48) as Sharon falls in love and decides to start a new life on a distant world. The back-up strip continued to feature stories about various other characters and races in the Doctor Who universe, including the Cybermen, Sontarans, Time Lords and the Yeti. There was also a second story for Kroton, the Cyberman with a soul and two stories featuring a brand new character, Abslom Daak - Dalek Killer! 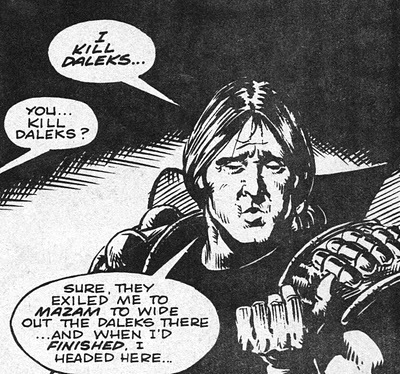 Abslom Daak was a hardened criminal who chose to go on a suicide mission and fight Daleks. He travelled the universe with own gang of fellow mercenaries (including a Draconian and an Ice Warrior) dispatching Daleks left, right and centre with a big chainsaw.